To celebrate the launch of the first-ever 2019 UX, a luxury compact crossover engineered for the city, Lexus partnered with designer John Elliott to create the “Sole of the UX” — custom tires inspired by his John Elliott x Nike AF1 shoe. The tires re-imagine the classic silhouette of Elliott’s sneaker, embodying the spirit of clean, purposeful, and modern design. 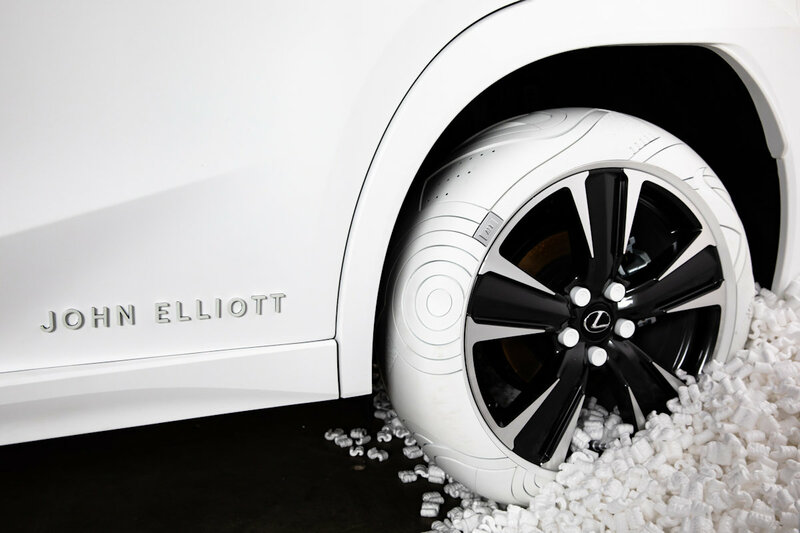 Tires that, like the crossover itself, are inspired by and designed for the city. Revealed at Elliott’s New York Fashion Week after-party on February 9, 2019, the collaboration features an all-white UX with custom tire details inspired by Elliott’s design, including white on white layers, double-stitched leather and a stepped metal air valve evocative of his stacked metal lace tip. At the event, Elliott showcased unique iterations of the John Elliott x Nike AF1 by artists Actual Source, Hassan Rahim, Matt McCormick, and Yung Jake—all pioneers in their respective fields. Using the John Elliott x Nike AF1 as their canvases, these one-of-a-kind custom sneakers were auctioned off at the event with all proceeds benefiting Inner-City Arts, an organization based in downtown Los Angeles with a mission to provide access to arts education for LA’s most underserved youth. 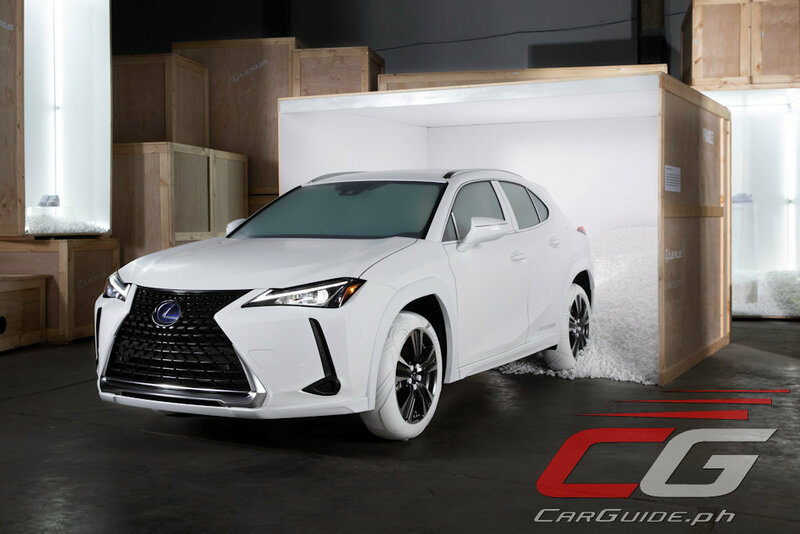 The Lexus UX was displayed alongside four artists’ renditions of the John Elliott x Nike AF1, a nod to the spirit of collaboration.